I'm sure you have noticed that the Bailey Dailies is sporting a new look! 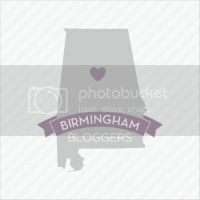 Thanks to my friend Leslie at Sweetie Baby's Blog Design, the blog has gotten an much needed face lift! I absolutely love it!! In honor of the new digs I'm having a follower drive. Over Christmas, I ran into so many people at parties who would tell me that they loved reading my blog. Of course I didn't know that they did read it because they weren't followers! I value each and every reader and am so honored that you take the time to check in with us and our life on the blog and would really love it if you would consider clicking the "Follow" button to the right! And speaking of "following" you can follow me on Pinterest and Twitter by clicking the buttons on the top of the page! Can't wait to see all of the new additions! Thanks again! Hope y'alls weekend was great!